Start the NFL season off right with a Perdomo Tailgate Party at Brandon, Florida. 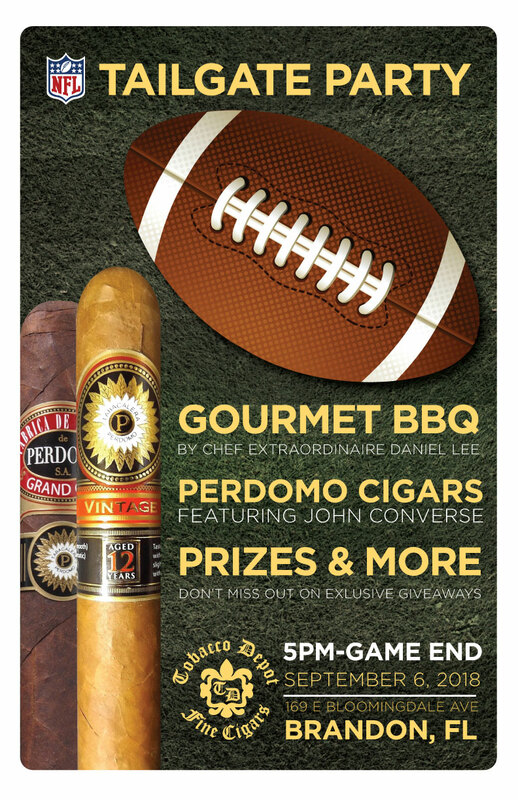 From 5PM onward, we’ll be having Gourmet BBQ and Perdomo Cigars through the end of the game. It’ll be a great night, and we look forward to seeing you there!